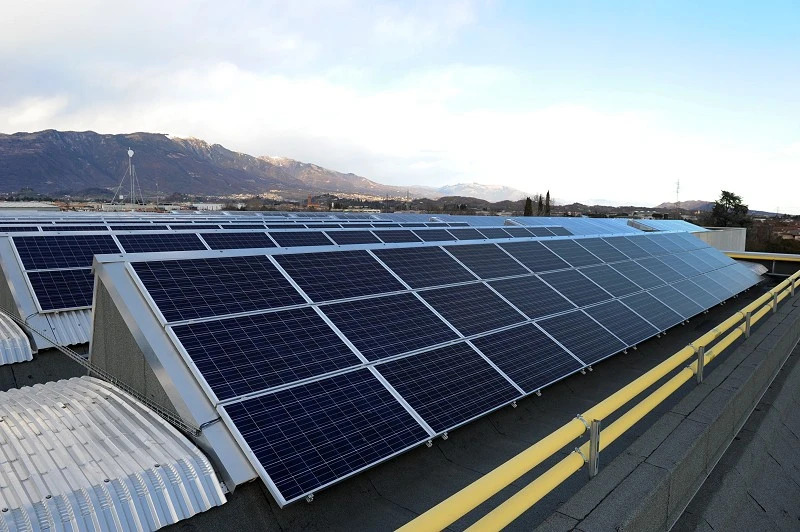 Francom goes 100% ecological: the photovoltaic system at our plant in San Zeno di Cassola is now fully operational. Cassola (Vicenza) 16 January 2018. 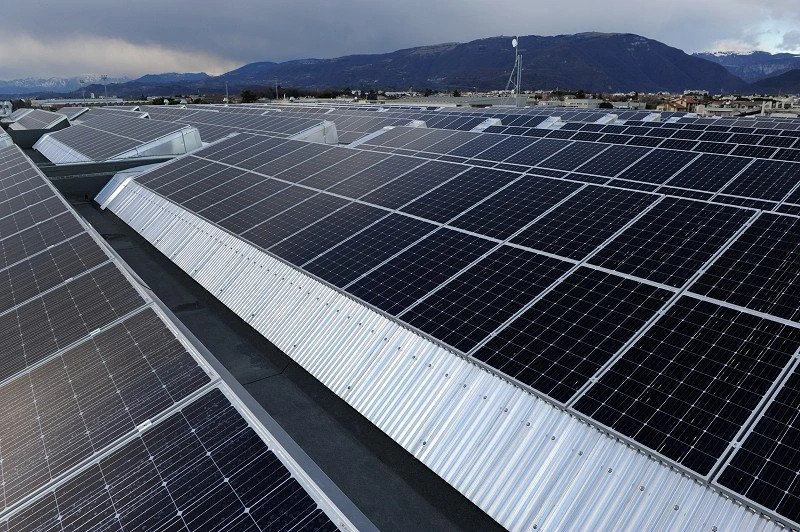 The photovoltaic field that converts solar energy into a usable electricity supply for Francom’s plant in Via Portile, San Zeno di Cassola, became 100% operational today. 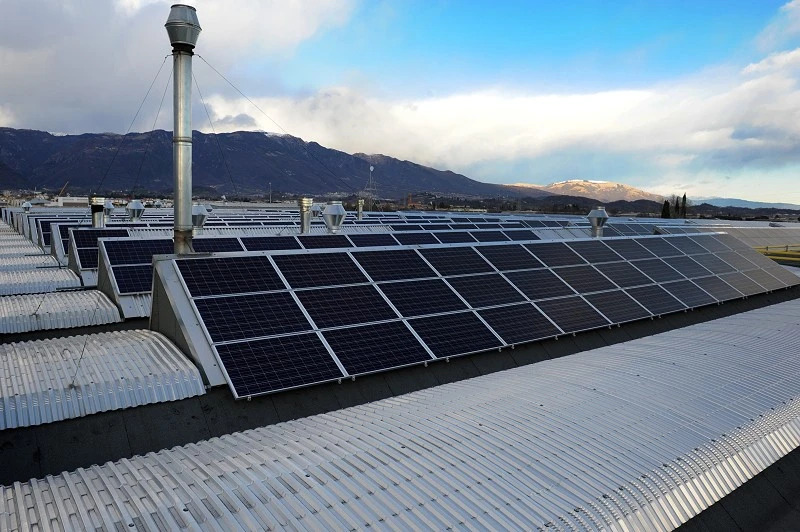 Francom, Syncro System’s parent company, has extended its existing installation of photovoltaic panels to coincide with the construction of its new factory building. The system has doubled in total power, growing from 147 to around 300 Kwp. The original field was installed on the roof of the company’s new headquarters and began functioning in the Autumn of 2016. It consisted of 556 modules of 265 Wp each. 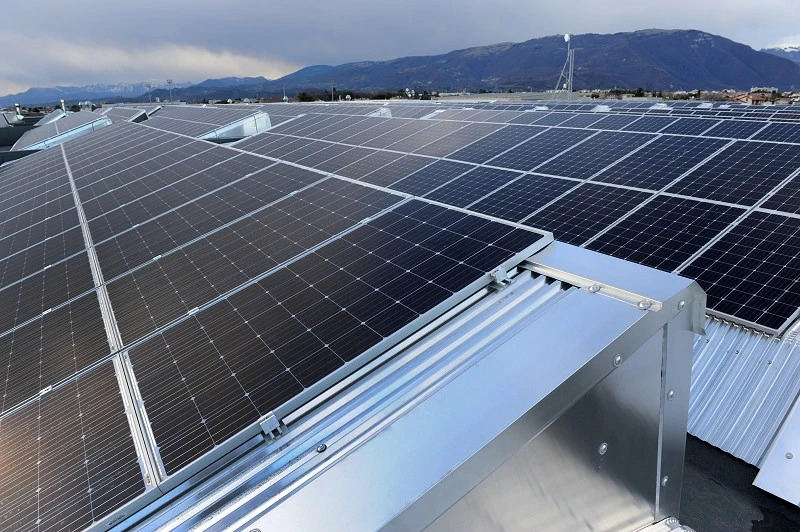 The field was expanded in 2018, with another 504 Viessmann photovoltaic modules of 300 Wp being added along with 5 ABB inverters. Annual output of the complete new system is estimated at 330,000 KwH at full efficiency, equivalent to about 40% of the plant’s annual electricity consumption, or that of 120 average families. The expanded system with eliminate the emission of 120 tons/year of CO2 equivalent. Francom uses nearly all of the energy produced by the system: what is left over is supplied to the grid operator, though at a lower price than the normal purchase price, because after all, nothing should be wasted. This major investment demonstrates Francom’s commitment to reducing its impact on the environment by maximising its use of alternative, renewable energy, in this case solar energy. As part of the extension of our plant in San Zeno di Cassola, Francom has more than doubled the size of its photovoltaic field, now fully operational.